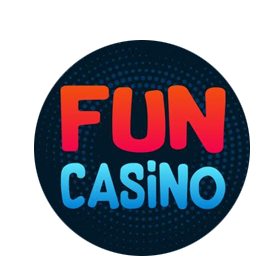 A terrific game from Gala Casino and one for all fans of pub fruit machine games and to make things even better, you can also try it for free in demo mode! 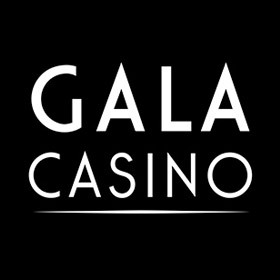 With so many online casino's moving away from the traditional pub fruit machine format for their online games and venturing into new, all bells and whistles, territory, it's fantastic to see that Gala Casino are holding down the fort for our favourite format. Gala has called them ‘Classic' slots but they are in essence, pub fruit machines by any other name. 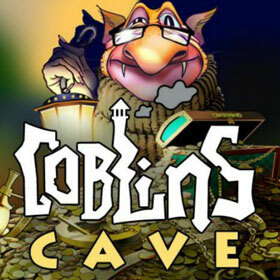 First up is the Goblins Cave pub fruit machine. 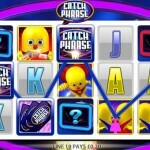 This is a three reel three pay line fruit machine that has the added bonus of holds but unfortunately no nudges. It's as straightforward as it gets with reels spinning to complete the bottom row. 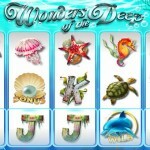 The jackpot is paid out if you get three Wild symbols on a payline but failing that there are 16 other icons that you can try to get a win from. 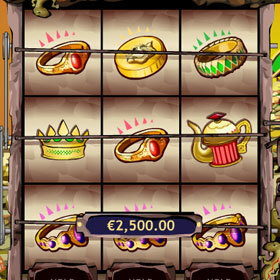 Hold the crowns and you can get close to top payout of 125x your coin size. The most a spin will cost you is 75p and that's if you max out your bet and there's also the added feature of a bonus round. Get three Blue Lanterns on a payline and you get to pick a chest that reveals an amount of additional money that you've won. I actually found the Goblins Cave pub fruit machine game to be more interesting than some of the more involved slot machines that I've reviewed previously. There is an element of control which is good, the payout was great, it's fantastic value for money and it's utterly uncomplicated while still being almost addictive.